There has been a theme running with my posts over the last 10 odd days. 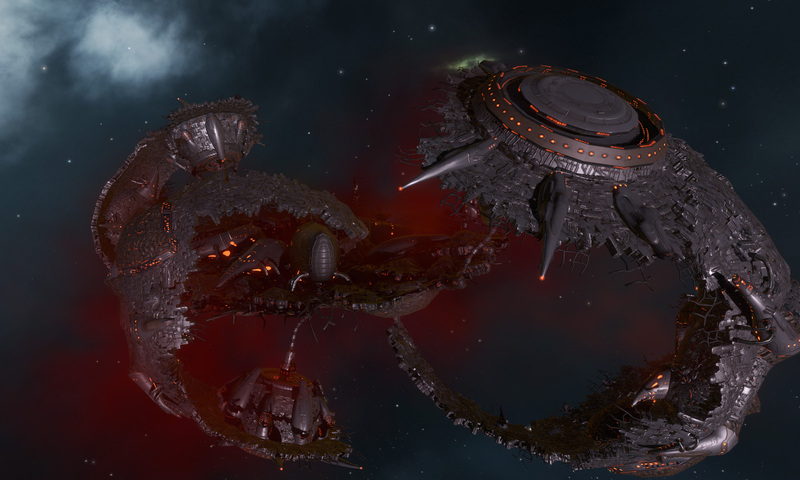 Gaffe’s from CCP, thoughts on the resulting dysfunctional reactions and interactions from both CCP and the players, and the journey towards appeasement and resolution. They explain their mistakes and lessons learnt around their CONCORD Hull gifting, what they will do moving forward, and their plans with how and roughly when these hulls will be accessible in other ways. It all seems reasonable to me, but I’m not invested in any of the rage so can’t say how this will placate those carrying pitchforks. Mostly I find myself coming away from many of these CCP / Player clashes with a sense of awkwardness. CCP’s mistakes can be a bit silly, and obvious with hindsight, but the player’s reactions can just as often seem too excessive. You end up feeling both sides have got it wrong. I’ve sprained the posterior cruciate ligament in my knee. The damage was done while digging out Rose and Black Berry bushes on a steeply sloped garden last Friday. It is only mild, but warranted a visit to the doctor this morning. While in the waiting room I read the news on my phone. At one point the harsh chorus of noise in the place got too distracting so I looked up. The ladies at the reception were talking, there was a TV on, a young child was watching an episode of Fireman Sam on an iPad at full volume, a bloke in his 20’s was watching what sounded like some comedy segment on his phone at noticeable volume, a grandfather was watching or listening to some Italian show on his phone, and the lady next to me was watching some Arabic video on her phone, tutting at the difficulty of hearing it, and repeatedly turning up the volume. It was a perfect snapshot of the state of courtesy in our world. I’m sure it wasn’t as bad as this 10 years ago. Maybe our youth with save us? My kids attend Karate lessons once a week after school. The Instructors provide plenty of balls for them to play with between when school finishes and the class begins at 4pm. A bunch of kids have taken to kicking the balls against the walls immediately above where the parents sit. Invariably a miskicked ball will clock a parent or two in the face or knock a phone out of a hand each week. At best the child might give the parent an inane smile, but more often they just stare blankly then walk off. Two minutes later they are back doing it again. The other night my wife and I heard strange rolling noises on our roof. I went outside and found two neighbouring kids under 12, standing in front of our house with a tennis racket. There were stones laying on the ground around the front of the house. When I asked them if they were hitting stones on to our roof I got blank stares and “no we didn’t” replies. I suggested stones seemed to be flying around by themselves, so they had better go home before they got hurt. Every week I come across a dozen little moments like this. I’m starting to think EVE might not be quite the dystopian environment I thought it was. It might be a little too accurately representing the direction society is heading. Living close to Jita can be a pain with regards to how busy the systems are and the higher population of griefers. It makes doing anything in space less relaxing, and as such I tend to spend less time undocked. 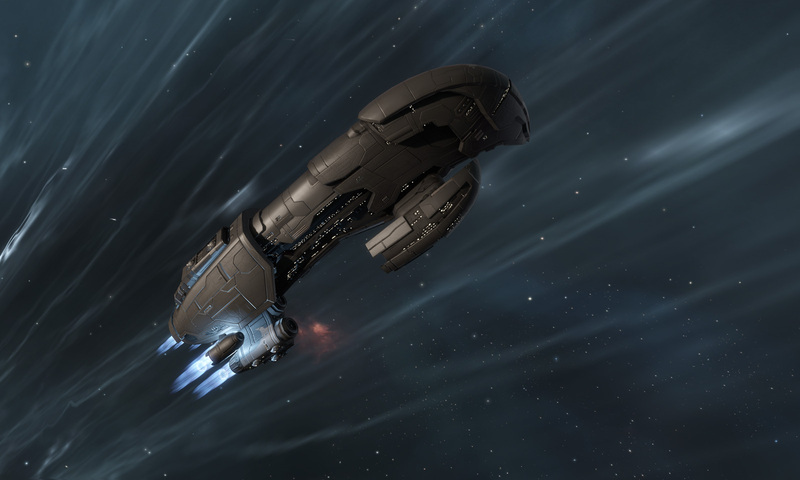 Earlier today while returning from Jita I noticed a couple of the Rogue Swarm Nests in my local system. These are the most recent date limited PVE event sites, this time based around Drones. Given it was after midnight in game and things were quiet, I decided to run them in my Legion (set up for Event Sites). I managed to do so without being interrupted. The sites are slightly different in the sense the NPC’s warp in, they drop a slightly wider range of loot, and if you wait a minute after killing the Swarm Overmind, you will get another spawn. Apparently, this additional spawn can be a Battleship, but I have not seen one. Instead I’ve always got around 8 small drones, although once got around 16, and in the last site I ran there were around 24. The site looks nice, and they are simple to run. Warp in, kill 3 mixed spawns of Frigates, Destroyer and Cruiser sized drones, then kill an Swarm Overmind. Even the NPC warp ins seem to be placed so that you don’t have to worry about getting hung up on structures. I had noticed CCP was keen to advertise these sites could be run by anyone – and they have done this by giving the NPC rats pretty anaemic damage. I have been comfortably passive shield tanking them in an Armor tanked Zealot, with what Pyfa suggests is around 2.5K Shields and a 7 EHP/s regen. To make the sites as relaxed as possible, you want to be quick. Quick to warp around, quick to lock up the rats, quick to kill them, and be quick enough to rush loot drops when contested. It also helps not having to carry much ammo, be able to mindlessly tank the sites, and have enough cargo space for plenty of loot. In the dozen sites I’ve run so far, the Zealot has hit the mark well. I am just using Scorch, which does 372 DPS out to 31+6km which covers the rat range profiles until the loot drops. I can switch in Multifrequency Crystals for 466 DPS to 11+6km, but it is not required. Anyway – not sure how many sites I will end up running, but at only a few minutes each they should keep me amused for a little while. I had the assumption that since CCP was specific about the date and time Ghost Training was being declared an exploit, that any use of it before was not being looked at. That is why I was confused about why they would just look at it for a week. I’m not sure about the accuracy, but some of the comments in various locations on this topic suggest some EVE players have been abusing the exploit using 50 – 150+ accounts. It is a unique game, with a unique collection of players. Still doesn’t explain why it was left for so long, but judgement day finally appears to be near. For more than six months CCP has been aware of, and has left unaddressed, a mechanism in the game where you could train Omega (paid) skills on an Alpha (free) account. I did it myself by accident back in February, logged a support ticket when I noticed, and had it summarily closed. It has been called Ghost Training. I ensured I didn’t use the mechanism again, but needless to say some people went out of their way to exploit the situation. A week ago many people found their skill queues had stopped. It turned out to be caused by a script CCP had run in relation to this Ghost Training. I called it an awkward misstep, but in hindsight maybe it was indicative of the problem being hard to solve, hence why it had been left around for so long. Ghost training is now considered an exploit, which should be fixed / stopped next week. If you knowingly use it between now and then, you will be accordingly punished as per the EULA. I’m not sure why CCP has opened themselves to the obviously dangerous premise of deciding if a player is “knowingly” or “unknowingly” using it. It is an exploit that can easily be used unintentionally. After taking so long to address it, why hasn’t CCP just said nothing until it was fixed next week? They must have known there were risks with this approach being contentious, because they specifically mention involving the CSM in the decision. I wonder at the cost / benefit analysis which was done on this one. I picked up one of these off the market today – an unnecessary purchase, but it kept me amused for a couple of hours. 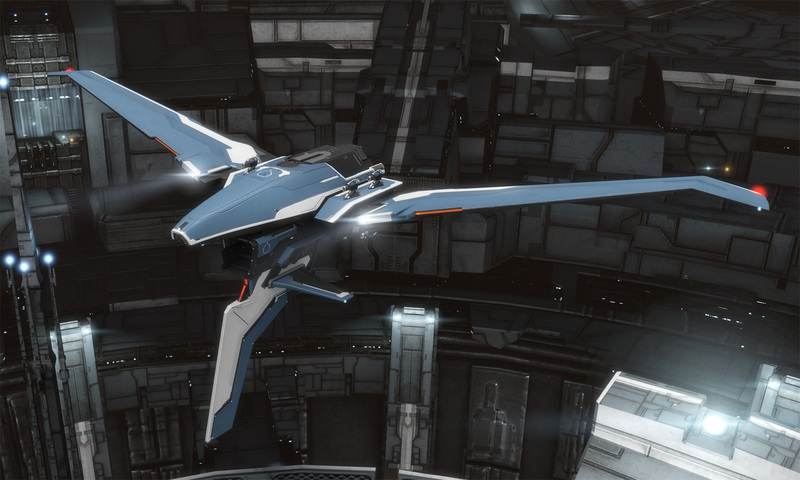 It is less tanky than the Astero I tend to use for Hi-Sec exploration, but is faster in warp and does more DPS. Here’s the rudimentary initial fit I used. Not entirely sure about it. It may become another hanger ornament. Oh, it’s in warp transformation reminds me a bit of a particular water beetle, be it in slow motion. A couple of days ago I briefly remarked on CCP’s balance changes to Capital fighters, suggesting the process was mismanaged. The forum post has now been updated, and the initial nerf has been scaled back. At quick glance, you might have thought CCP capitulated to the vocal ranting and raving from their players, but the devil is in the detail. First – they called out the Capital pilots for the apparent unfair advantage they currently hold over the rest of the player base, an advantage for which they were screaming blue murder to keep. In 5 days of data from the start of the month, 1.4% of pilots generating PVE NPC bounties were in Supercarriers – yet they earnt 22.3% of all PVE bounty ISK. A further 4.8% of pilots were in Carriers, and they earnt an additional 24.2% of all bounty ISK. So CCP was trying to nerf 6% of players who were taking almost half of all PVE bounty ISK, while 94% of PVE players shared the other half. It is a very political sort of retort – divide the population into a minority of haves (PVE Capital pilots) and a majority of have nots (the rest of the PVE pilots), and ride on the coattails of democracy to getting your way. If you are willing to risk a Carrier or Supercarrier in space to PVE, then you should get some increase in income. However, EVE has generally taken the approach that increases in ship or module power cost exponentially more than the on-paper rewards they provide. A T2 module might provide a 10% increase in power over a T1 module, but cost 10 times more. This seems to work in most other areas of the game. I could imagine a Supercarrier pilot would be risking 10 times more ISK in space than a Carrier pilot, and I could imagine a Carrier pilot would be risking 10 times more ISK in space than a T1 Battleship pilot. How do the PVE rewards they are getting tie in with the rest of the game? This is the sort of statistics CCP should have provided right from the start – and quantified it better by comparing the income and ship usage to before all the Capital re-balancing work over the last year or so. Then they might have had an easier time with the blowback. Second was this line – “We are working on changes to Anomalies that will reduce the effectiveness of Carriers and Supercarriers. 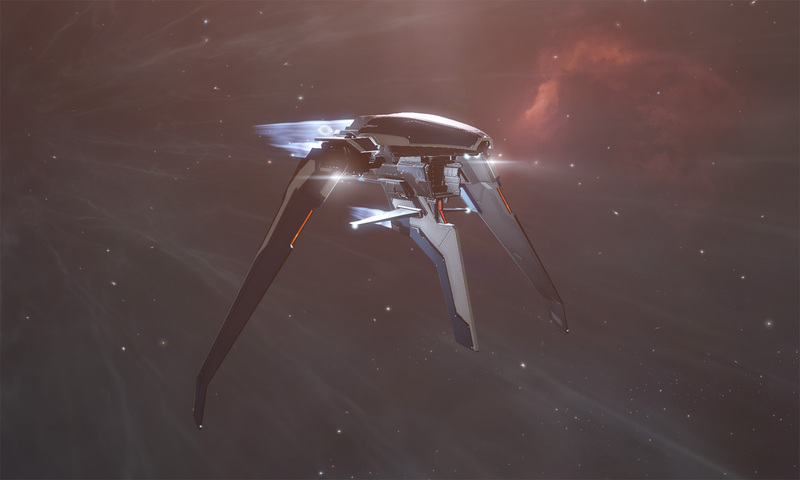 These changes will be announced at a later date.” Despite all the carry on, CCP sees this as a real problem, and will be nerfing this ISK inflow into the game one way or the other. The whining might have impacted this battle, but it won’t win the war.